Actor Ryan Phillippe recently presented his directorial debut with the movie Catch Hell. While speaking with the L.A. Times about his new film, Phillippe discussed having to appear in struggling independent pictures in recent years. The star of Cruel Intentions and Crash pointed out one picture that also featured a well-known rapper-turned-actor as a least favorite of his. The film was called Setup and also featured Bruce Willis and Randy Couture. The movie was released straight to video in 2011 via 50’s Cheetah Vision production company. Phillippe revealed the experience of working on Setup partially inspired Catch Hell which is about a past-his-prime actor forced to do a poorly financed indie movie. Unlike real life, the events in Catch Hell take a much more terrible turn for the worse. Nardwuar interviews Ab-Soul at Fortune Sound Club in Vancouver, BC, Canada! 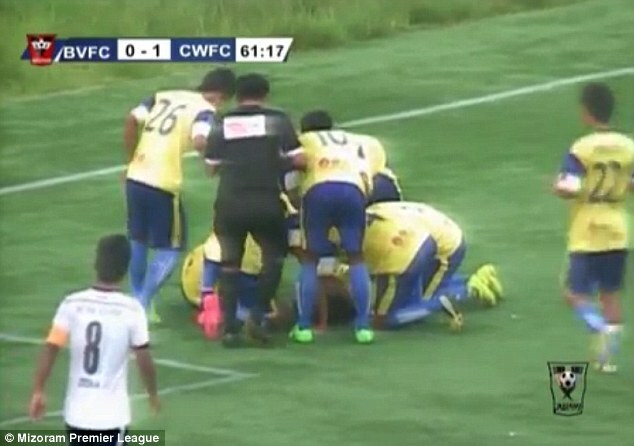 A footballer has died after a celebration went tragically wrong in India’s Mizoram Premier League. 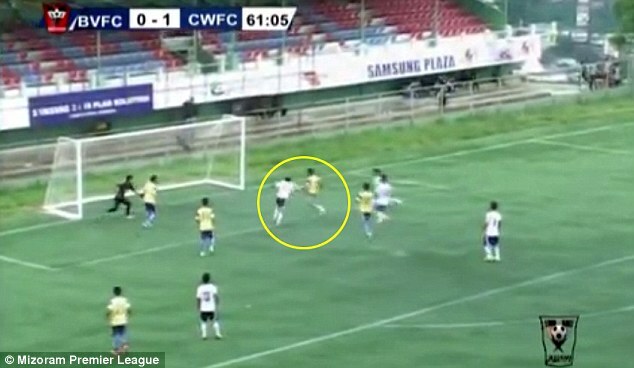 Peter Biaksangzuala died in hospital on Sunday after falling on his head while attempting a somersault after scoring for Bethlehem Vengthlang FC – a club based in the north east Indian province of Mizoram. The 23-year-old midfielder scored a 62nd-minute equaliser against Chanmari West FC in Tuesday’s league encounter and celebrated acrobatically – in a manner similar to record World Cup goalscorer Miroslav Klose. Biaksangzuala mistimed his landing and his head took the brunt of the fall. 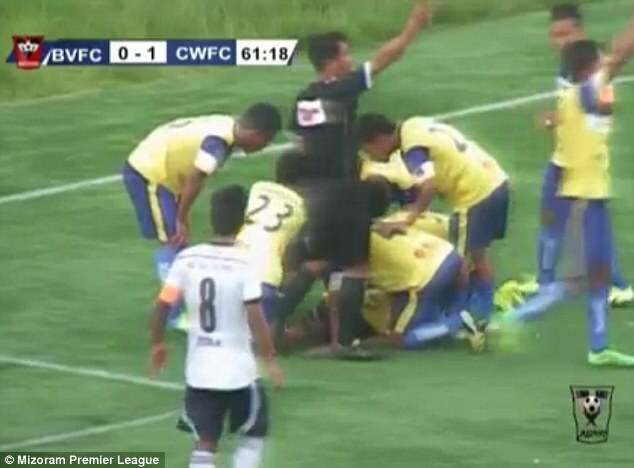 Team-mates immediately rushed to his aid and he was carried off the pitch on a stretcher. Biaksangzuala was rushed to Aizawl Civil Hospital where a CT scan revealed he had severely damaged his spinal cord and he was moved to an intensive care unit. 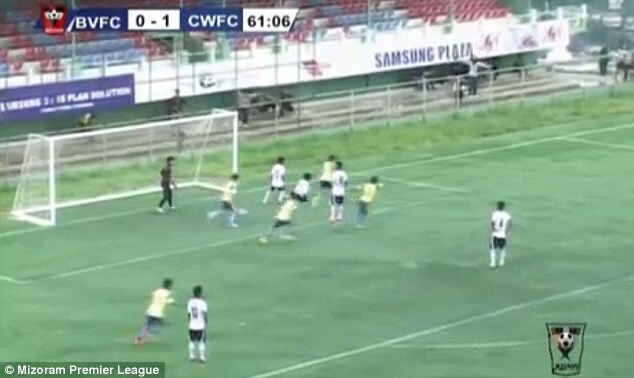 The Mizoram Premier League is at state level. Each state has their own league and on a national scale, play in the third tier of Indian football. He spent five days in hospital, as doctors unsuccessfully attempted to heal his injuries, and was pronounced dead in the early hours of Sunday after being put on a ventilator. Reports in India suggest that Biaksangzuala had donated his eyes during the time he spent in the hospital. In memory of the midfielder, Bethlehem Vengthlang FC have retired his shirt No 21 with the Mizoram Football Association releasing a statement via their official Facebook page. The statement read: ‘Bethlehem Vengthlang FC midfielder Peter Biaksangzuala lost his fight for survival after he suffered a fatal injury while celebrating his goal. 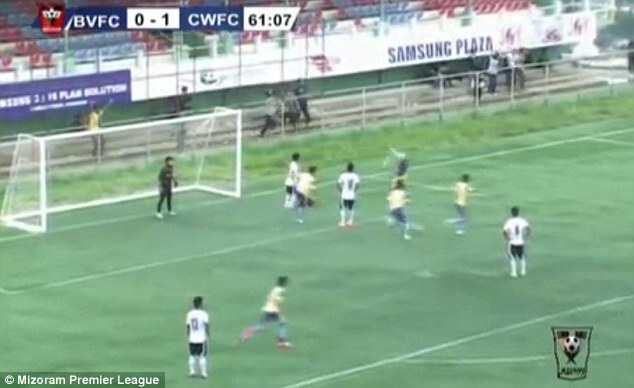 ‘It has been a sad day for Mizoram football and the demise of the footballer shook his team-mates, footballers and fans alike all over Mizoram. ‘Peter was a defensive midfielder who had always been aggressive and hard working, a true team player. Like most defensive midfielders, he was excellent at reading the game, breaking up attacks and protecting his defenders. Jay Z and Kanye West Co-Produced a New Chris Rock Movie! Call Top Five! Jada Pinkett-Smith was very close with Tupac while he was alive, so much so their relationship has been the talk of many different culture commentators and film/documentary directors for years. To accentuate what was a “reflective Saturday” for the Hollywood star, Pinkett-Smith penned a very heartfelt open letter not just about Tupac and her close friend Maxine, but what their deaths, and the circumstances that brought about their deaths, say about the society we live in, and who we are as a culture. I’m having a deeply reflective Saturday. In this picture I’m flanked by two extremely close friends of mine…Tupac and Maxine. They both died tragically not too far apart from one another. I flipped through more pictures of my youth only to come across at least 6 other friends who had been taken from this world…violently. I can’t even count acquaintances. There was a time all that loss felt like the norm; today it felt unnatural, strange, downright wrong. Half of my life was surviving a war zone…genocide. I’m grateful for what I have survived. GratefuI that I can spend an evening with Fallon playing a pie in the face game. Grateful I didn’t become a statistic like I often thought I would. Grateful that my own children don’t have to confront the loss and violence in their neighborhood in the way their parents had to. But, I also feel helpless, a bit depressed that there are so many of us who still do. And it feels like it’s only gotten and getting worse.